Do you wonder where all your money goes at the end of each month? Are you thinking about investing your money but don’t have the time to meet with a broker? Mobile apps can help you manage and take control of your finances. 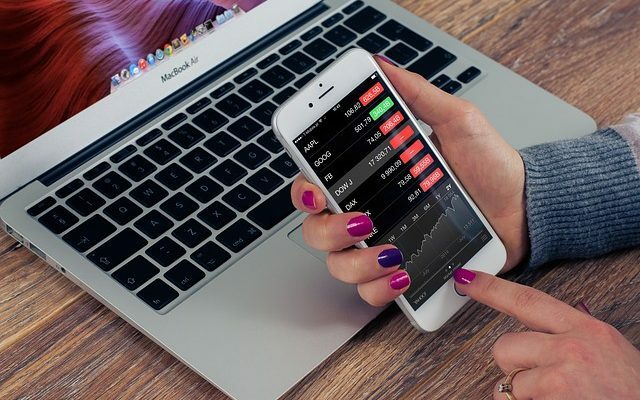 Here are 7 iPhone apps for personal finance, budgeting and stock trading that will free you of the time-consuming task of manual monitoring and handling your money. Finance apps as investment tools can also make your money grow for you. Mint is the quintessential personal finance app to date. Aside from monitoring your earnings and expenses, it can sync with your credit cards and bank accounts and automatically refreshes itself to give you a real-time and detailed report of your finances. The downsides to Mint are the lack of investment tools, the slow synchronization with your financial accounts, and the inability to reconcile the data on the app with your monthly bank statement. Another is, it’s available to use only in the US and Canada. After listing down your expenses, the app keeps a running total for each entry in the categories and payment types you have chosen. You can customize the app for the categories and sub-categories you frequently use, and it hides the ones you don’t use when you add an entry. You have the option to sort your record of expenses by “category,” “date,” payment type,” or “client.” The app also has a GPS and mileage tracker which allows multiple destinations in one entry. Plus, you can email or export your reports and receipt images to your desktop. It can be used in many currencies. Spendee is another easy-to-use app for budgeting and money tracking. You have the choice of syncing your bank accounts or enter your expenses manually. Income and expenses automatically go into their respective categories. It has a Feed section for viewing expenses, an Overview that shows an infographic of your expenses over a period. It has a budgeting tool in addition to the money tracker and there’s Spendee Premium where you can share your budget with other family members or friends. YNAB has the money tracker and syncing features of other personal finance apps. It also gives you realtime access to your information. But more than these, YNB has a debt payment tool that teaches you how to pay and get out of debt in the future. It also allows you to set goals and track your progress with a trend report to monitor your progress. It has educational guides to building discipline and good budgeting habits. The app has a 30-day free trial period after which you’ll have to subscribe on an annual basis. Stock trading apps are very convenient for people who are into investing or want to start. The stock market is a great place to grow your money but like any other venture, it has its risks. It’s best to study first about stock trading before treading into uncharted waters. For example, learning what is day trading is very useful in making informed decisions about stock trading. One of the first in online trading, E*Trade remains at the top, having kept up with advancements in trading technology. It’s a great app for newbie investors since it has educational tools. Trade stocks, ETFs, mutual funds and options and track them on the app. You’ll need $500, its account minimum to use the app and offers up to 500 free trades for a certain minimum amount. Since its commissions are higher for low volume traders, E*Trade is best if you’re a frequent trader since commissions are lower for them. Launched in 2014, Robinhood’s marketing strategy was to offer trading for stocks, ETFs, cryptocurrency and options at zero fees and without getting a commission. Targeted for millennials whom the app presumes can find trading education somewhere else, the catch to its free services is a stripped platform with only the basic features and a limited range of trading options. The Fidelity app ranks top in investments apps for its balanced mix of services, educational tools and value. The mobile app merges with the desktop to deliver uniform chart settings on both phone and tablet. Fees are comparably lower and investment options are varied. Trading platform is free but Fidelity is not available for non-US citizens or residents.